The Sense of an Ending (named for a famous book on literary theory by the late English critic Frank Kermode) not only needed a good night’s sleep before I wrote about it but it really needs me to go over it again with the proverbial fine-toothed comb, looking for clues that will tell me that what I think happened at the end really happened. Despite its short length (I put it at 42,000 words, which is just north of novella territory), Barnes manages to pull off not one but two surprise twists in the book’s final pages, the first of which is sad and a little wrenching, the second of which takes your breath away. At least I think it did; Barnes refuses to spell out the second twist in specific detail, though he makes it clear that it’s there. But I suspect that if I go back and review certain key moments — particularly a long-forgotten drunken letter and the general timeline of certain events in the story — I’d have it down cold. There are other books to be read, though, and I may put this off for a while. I may put it off forever. In case I’m making The Sense of an Ending sound like one of those twisty crime thrillers that slither their way into your local cinema multiplex every other week or so, it’s not. It’s the self-narrated story of a British male born probably around the same time as Barnes (1946) looking back on his life from the present, with particular emphasis on a group of friends he had met in school and on his first serious girfriend, who he ended up sharing (serially, not simultaneously) with the most brilliant of those friends, one who would probably have gone on to become one of the greatest philosopher-historians of his generation if he hadn’t suddenly, unexpectedly committed suicide while still a young man. The suicide is the book’s central mystery, but this is not a mystery novel and the suicide goes largely forgotten for decades, until the narrator discovers that his late friend’s diary, which apparently holds clues to the reasons for his self-demise, has until recently still existed, right up until the former girlfriend decided to burn it. Much of the latter part of the book is about the narrator’s attempt to find out what the diary said and even, for reasons he doesn’t fully understand, to effect a rapprochement with the old girlfriend, something that isn’t likely to happen. The climactic pair of twists, the second of which almost completely reverses the first, are devastating to the narrator, who is forced to see almost his entire life in a different way, one that suggests that he is not the mediocrity that he has made himself out to be for much of the book but something a little bit worse, a person who has managed to ignore the negative effects he has had on the world and the people around him. His final grasp of the truth is not so much devastating as sad, emphasizing just how empty his life and failed relationships have been up to that moment. It is the story of a life told from the wrong end of the telescope, the end from which everything starts to look very small. By the end of the book it looks very small indeed. 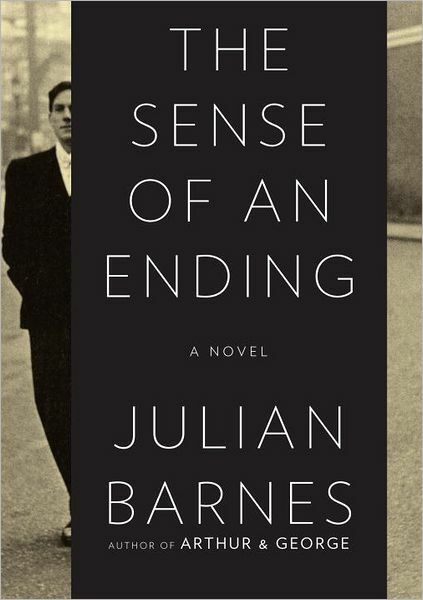 None of which is to say that The Sense of an Ending is a depressing or unrelievedly bleak book. Just the opposite, in fact. Barnes is a master of that mordant, acidly funny style of British humor that is so sharp and incisive that it masks the fact that just below the book’s surface is something with the bite of a shark, something that would be difficult for the reader to face if the writer hadn’t combined the cleverness and timing of a stand-up comedian with the sharply honed meat knife of a literary Jack the Ripper. Posted in book reviews, books, Julian Barnes, literary fiction, reading, The Sense of an Ending and tagged book reviews, books, Julian Barnes, literary fiction, reading, The Sense of an Ending. Bookmark the permalink. What is it about magicians that continues to fascinate not only on stage but in books and movies? The great age of theatrical magic would seem to have passed by now, having taken place roughly at the end of the 19th century and the beginning of the 20th (the period during which this novel is set) and yet there seems to be a slow but steady stream of books, movies and stage acts that appeal to a kind of ex post facto nostalgia for an era that took place before most of us were even born. There were those dueling magician movies a few years ago, The Illusionist and The Prestige. There is the enduring appeal of traditional magicians like David Copperfield and the more physically oriented showmanship of men like David Blaine, who seem determined to carry on in the aggressively athletic tradition of Harry Houdini. And there is this book. 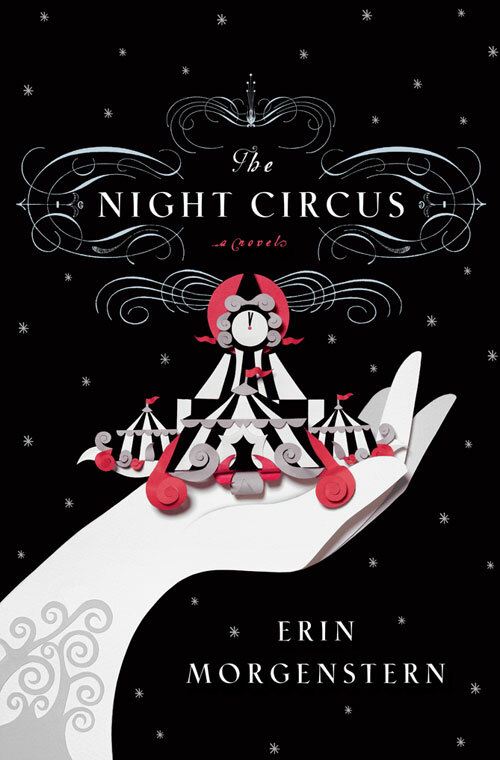 The conceit of Erin Morgenstern’s The Night Circus is that, while ordinary magicians use deftly executed trickery to produce the illusion of the supernatural, the magicians of the Night Circus (the actual circus, not the book) use the supernatural to produce the illusion of deftly executed trickery. The circus of the title is, in fact, made up of nothing but magic acts or traditional circus acts abetted by magic, each performed by a practitioner of genuine magic and each act allotted its own tent in an expanding geometric arrangement that proliferates like a slowly constructed chessboard (a description that turns out to be more than just metaphor). And these are extraordinary magic acts. The Night Circus, so-called because it only opens at dark and closes at dawn, is to an ordinary circus what a world-class restaurant is to a Denny’s, each act a superbly prepared meal enhanced by the sheer wonder of its artistic and stylistic presentation. The Night Circus (also known as Le Cirque des Rêves or Circus of Dreams) is a nightly work of art, one that steals away silently during the day after staying for a week or two in one spot and then appears unpredictably in some other location, followed by a band of fans so dedicated that they make Deadheads seem lacking in enthusiasm. Appropriate to the subject matter, The Night Circus is more a novel of mood and illusion than it is of plot. In fact, one of its illusions is that it actually has a plot. Yes, there are pairs of lovers who could have come straight out of Shakespeare, and a pair of ancient enemies, one of them named Hector Bowen, once a stage magician himself (who, speaking of Shakespeare, used the nom de plume of Prospero the Enchanter), and the other simply known as the man in the grey suit. There is a long-standing wager between these two men that for some reason reminded me of the wager between God and Satan in that most literary of Biblical texts, the Book of Job, though this is more because that’s who the two men reminded me of; the nature of the wager is more like a series of bets on a chess tournament, a tournament that seems to have been going on for so long that its origins are lost in the mists of time. What gives the book its poignancy is that they are wagering on the lives of real human beings who are raised from childhood to be unwitting competitors and never given a choice as to whether they want to grow up to become part of what amounts to a battle to the death. That sounds like an awful lot of plot for a book that I suggested had only the illusion of one, but Morgenstern never really explains the backstory here in any particular detail. Instead, she leaves a great many of the details for the reader’s imagination to fill out and whether you consider that to be a strength of the book or a weakness is a matter of taste. (I may need time to decide.) The real star of the book, though, rather than any of its characters (who tend to be more sketched than fully drawn) or the story, is the circus itself, which is described in loving and often thrilling detail. The book is a grand and elegant banquet of magic that will probably make a spectacular movie if filmed (and though I haven’t checked to see if any film versions are in the works, I can’t imagine one isn’t already being prepared for production). It is Morgenstern’s loving portrait of this elaborate arena of magic, spectacle and splendidly old-fashioned style that makes the book worth reading, and in the relatively brief time it takes to read, it goes down like a rich confection filled with flavors you may never have tasted before. If they leave you feeling slightly unsatisfied in the end — and for me they did — it’s only because you wish you’d had more of them before the meal was over. Posted in book reviews, books, erin morgenstern, magic, magicians, reading, the night circus and tagged book reviews, books, erin morgenstern, magic, magicians, reading. Bookmark the permalink. This is going to be a long post. That’s not because I have a lot to say about the book in question but because I first want to talk about why it’s the first book I’ve read (or at least the first book I’ve finished) since I wrote about Stephen King’s 11/22/63 last November. 2011 was my year of reading long books. In the spring I plowed through the first five volumes of George R.R. Martin’s Song of Ice and Fire series, something I’d grown convinced I would never do in the remainder of my lifetime, and I found time to read Robopocalypse between books four and five. (It wasn’t worth it. Robopocalypse was a snooze, a brief precis for an upcoming Stephen Spielberg film that has no other excuse for existing in book form.) After the approximately 1,100 Nook pages of Martin’s A Dance with Dragons I felt pretty much prepared for anything and polished off the 1,000-plus pages of King’s Under the Dome in nine or ten days. I galloped through Jonathan Franzen’s compulsively readable Freedom in about a week, but that was only 500 pages, which by that time seemed trivial. And then I got cocky. When I blithely attempted to read the 900 pages of Neal Stephenson’s Reamde I hit a brick wall. Stephenson is a writer that I admire and enjoy, roughly in that order. His books are bursting at the seams with inventive, slightly twisted, yet oddly believable ideas and when he chooses to he can write high velocity action that never leaves the reader feeling that his/her time would have been better spent curling up with something more intellectually edifying. Even when Stephenson writes an action scene he is intellectually edifying. I’ve carried on about this before, but the opening two chapters of Stephenson’s Snow Crash are the most amazing balancing act of characterization, sociopolitical speculation and sheer edge-of-your-seat suspense that I’ve ever read. I had heard that Reamde was more of a conventional terrorism thriller than Stephenson usually deals in, but I hardly found that off-putting. I love thrillers and I love Stephenson. What combination could be more appealing? My mistake. Reamde may be crammed with action — almost too much for its own good, if truth be told — but it has all the excitement of watching a chess game played by mail. The premise is clever. A computer virus called Reamde — a corruption of the familiar computer filename Readme, so named because the virus creates a file of that name on your hard drive that holds all your vital information prisoner in an encrypted format with an unbreakable key — is propagating across the Internet. If Reamde snares your valuable data you must pay a ransom in the form of virtual merchandise within a massively multiplayer online game similar to World of Warcraft, where the virtual value of the virtual merchandise can be converted to real-world coin by Chinese hackers who will then pass you the key to your data. (This isn’t that farfetched given the bizarre crossover economies that actually exist within such games.) But Stephenson fills the novel with too many characters and they feel boringly interchangeable. Despite the author giving them distinct if perfunctory characteristics that can be used to distinguish them, I kept having to remind myself who every character was each time they returned to the novel’s viewpoint stage (and I never came up with a convincing reason to care about any of them). I managed to read more than 400 pages of the novel’s 900 pages and that’s 400 pages of reading that it looks like I’ll never get back. Then I decided to read The Girl With the Dragon Tattoo. I can’t tell you whether it was a good book or a bad book because I never got far enough to decide. I came up against the same problem I always run into when attempting to read a book in translation, the disheartening sensation that I wasn’t really hearing the author’s voice. One of the joys of reading for me is the sense of having a direct mind-to-mind connection with another person, which consists not only of sharing their thoughts in as direct a manner as our physically separated brains allow but of hearing in my mind the very words with which they choose to express those thoughts. Word choice tells you a lot about another person (and I say this with some trepidation, knowing that you will immediately start paying much closer attention to my own word choice than you might have otherwise). Reading the words chosen by a competent or more than competent author can be as electrifying as watching a beautiful sunset (or, to stick more precisely with the analogy, it’s like looking at a beautifully composed photograph of a beautiful sunset). Give her “the boot”? Figure out what made her “tick”? Those are cliches from a bad 1940s movie. When’s the last time somebody under the age of 80 used the phrase “give her the boot”? This isn’t just bad writing; it’s lazy writing and I blame the translator for it. Of course, I don’t know Swedish so maybe the original phrase as written by Larsson actually involved placing a piece of footwear on Salander’s posterior, in which case it was Larsson who was the bad writer. (Somehow that doesn’t make it any better.) Someday maybe I’ll go back and read the book again to see if it manages to be a powerful piece of suspense fiction despite the encumberment of its trite narrative style, but by then I’ll have seen the movie and probably won’t care. Fortunately I only wasted about 50 pages on this one. Finally I picked up Stephen King’s Bag of Bones because there was an upcoming miniseries version. I love King and am continually impressed by the amount of intelligent writing, vivid characterization and richly imagined detail that he is willing to invest in what are, after all, fairly disposable thrillers. And I liked Bag of Bones, at least as far as I got into it. (This was between 200 and 300 Nook pages, I believe.) But I’m beginning to realize that the last couple of months of the year (it was late November or early December by the time I started it) are not a good time for reading. I was exhausted by my marathon sprint through earlier King novels and the Martin quintology (pentology?) and there are far too many distractions at holiday time. I also found myself caught up in playing The Elder Scrolls: Skyrim, a game I had waited all year for. (I’ve played every game in this series since it began in 1994 and Bethesda Softworks never fails to deliver a richly immersive, immensely time-consuming experience.) So eventually I lost all momentum on the King book and by now I’m sure I’ve forgotten the character names and most of what the book was about. But a new year always renews my excitement in reading, if only because dozens of publications and Web sites post their Best Books of the Year list and in them I see one book after another that I’m instantly convinced will be the best thing I’ve ever read. 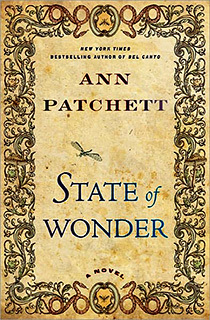 I picked the book at hand, Ann Patchett’s State of Wonder, entirely at random, having no idea what it was about or what Patchett had written before. I have two negative observations about the book. The first — and it’s the weaker of the two — is that though the plot was intricate and ingenious I never found it compelling, though I suspect the fact that I’m looking for “compelling” here at all is merely a sign of my increasing jadedness as a reader and a human being, a symptom of advancing age and a faltering attention span. I want a book in which the stakes for the main character are so emotionally heightened that turning a page becomes almost an act of desperate need (though I dislike it when such books degenerate into overripe melodrama). The second problem is that I found the main character, Dr. Marina Singh, something of a boring cipher, which made it difficult for me to become involved in her story. This may well have been a deliberate choice on the author’s part, but it wasn’t one that sat well with me as a reader. The story is about Dr. Singh’s journey to the jungles of Brazil to find a research scientist working on a miracle drug being financed by the pharmaceutical firm for which Singh works, and it isn’t until that scientist, Dr. Annick Swenson, who had been Singh’s teacher at Johns Hopkins, enters the story that the book comes to life. Swenson is a dynamic, excitingly imagined character, and she develops unexpected depths as the story proceeds, evolving from the ogre that she has always been in Singh’s mind into a fully rounded, fascinating human being. But, alas, she is only a tiny part of what the book is about. The story is really about Singh finding herself and finding something even more important that I’m not going into here because I really didn’t find it as interesting as the author seemed to think it was. Looking back at it now I think there was symbolic value in the discovery, but I can’t work up the energy to suss out exactly what it was. Posted in a dance with dragons, A Song of Ice and Fire, ann patchett, book reviews, books, books in translation, elder scrolls, freedom, george r.r. martin, jonathan franzen, neal stephenson, reading, skyrim, snow crash, state of wonder, Stephen King, stieg larsson, the girl with the dragon tattoo and tagged a dance with dragons, a song of ice and fire, ann patchett, book reviews, books, books in translation, freedom, jonathan franzen, neal stephenson, reading, reamde, robopocalypse, skyrim, snow crash, state of wonder, stieg larsson, the elder scrolls, the girl with the dragon tattoo. Bookmark the permalink.